﻿ THAI THANI LOFT & LIFE LAMPHUN, Lamphun | FROM $15 - SAVE ON AGODA! 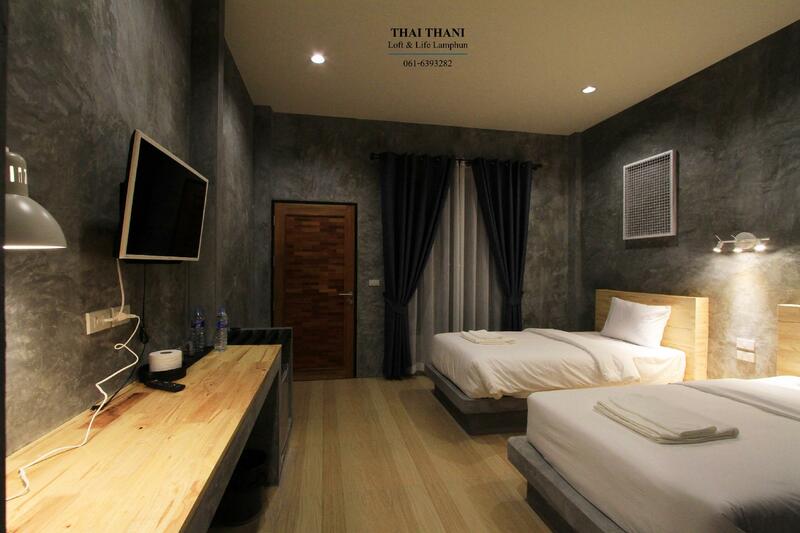 Have a question for THAI THANI LOFT & LIFE LAMPHUN? "Very nice room and shower." 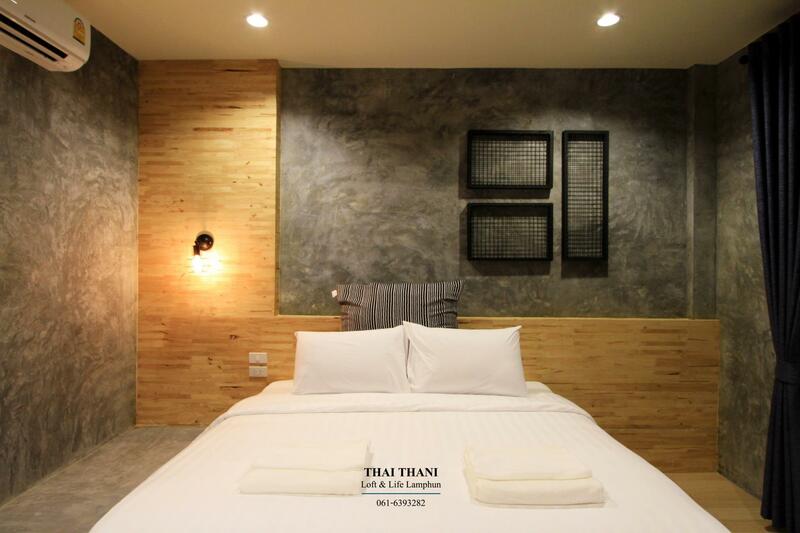 "The hotel is very new and clean, with a little garden where..."
Conveniently located in Lamphun, THAI THANI LOFT & LIFE LAMPHUN is a great base from which to explore this vibrant city. With its location just 5 km from the city center and 30 km from the airport, this 3-star property attracts numerous travelers each year. With its convenient location, the property offers easy access to the city's must-see destinations. 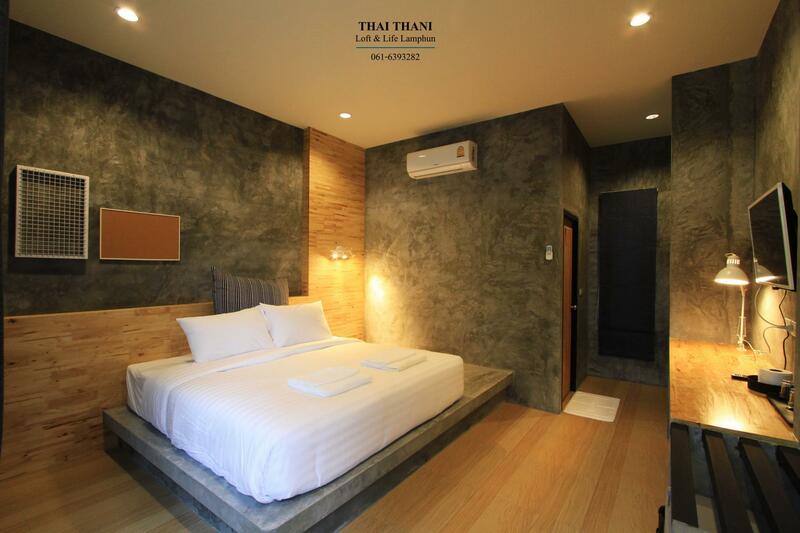 Offering guests superior services and a broad range of amenities, THAI THANI LOFT & LIFE LAMPHUN is committed to ensuring that your stay is as comfortable as possible. While lodging at this wonderful property, guests can enjoy free Wi-Fi in all rooms, shrine, daily housekeeping, private check in/check out, 24-hour front desk. The property's accommodations have been carefully appointed to the highest degree of comfort and convenience. In some of the rooms, guests can find flat screen television, cleaning products, clothes rack, dressing room, mirror. The property offers an excellent variety of recreational facilities, including garden. 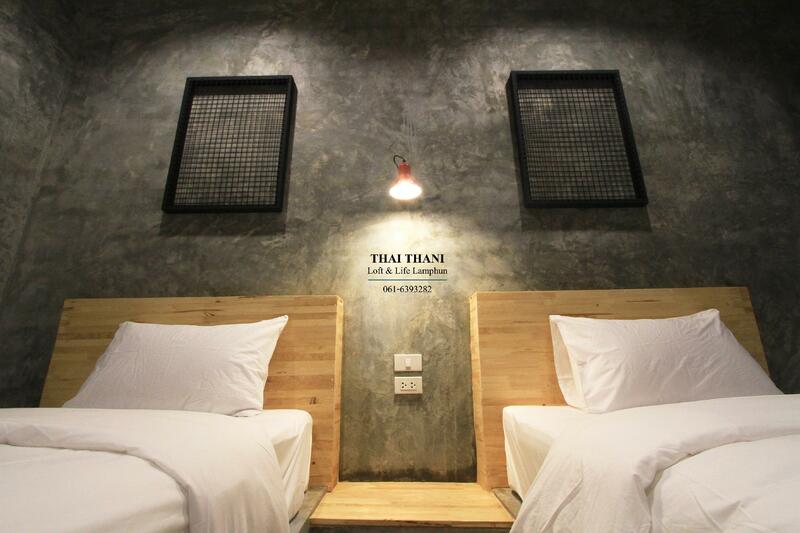 Whatever your purpose of visit, THAI THANI LOFT & LIFE LAMPHUN is an excellent choice for your stay in Lamphun. "Very new, with a very affable host." Out of town, I expected to find bungalows around a big garden, but it was not really the case. A small garden though, but the hotel was very near the highway with all the noises connected to it. The room was modern, nicely decorated and very clean, the bed was comfortable and we eventually had a good sleep. No breakfast. The only hotel during our vacation in Thailand where we could not enjoy a decent one. Coffee and tea available. I must admit that it was more than ok for the very low price paid. Your stuff is so nice thank you. I will come back!!! Thank you for visiting us. we are happy to provide full service. The staff were very friendly and helpful. The hotel is very new and clean, with a little garden where guests can enjoy breakfast. location not really sure if this was far from the center as we had a car. room was good size shower could have be hotter clean and new BUT bed was hard and firm. if u love firm beds then this place is a value for money. A bit out of town, but as cycle tourers not a problem. Very new, with a very affable host. Breakfast modest, but given the price not a problem. Big mall down the road for eats. Very nice room and shower. Very clean and neat. Friendly staff. Great value for money!! Très propre, je recommande cet hotel sans hésiter! Die kleine Anlage hat Motelcharakter, liegt abseits der Stadt (ca. 10 Min.) und ruhig in der Nähe einer grösseren Strasse. Sehr stylisch und geschmackvoll gestaltet. Alles ist noch neu und nicht abgewohnt. Die Betten sind gut, die Kissen waren für uns viel zu hart und unbenutzbar. Frühstück gibts nicht wirklich, man kann aber vor der Abfahrt im kleinen Lobby-Häuschen einen Kaffee im Stehen nehmen. Für eine Nacht als Zwischenstopp super, nicht für einen längeren Aufenthalt.